The Mountain and the Sea the memorial anthem commissioned by the Dean and Chapter of Westminster Abbey for ANZAC Day 2008, is to be performed again at New Zealand’s National War Memorial at 10:30 am, April 25th 2009 by the Wellington Cathedral Choir conducted by Michael Fulcher. The specially written text of the Anthem is by New Zealander Dr. Richard Major, and it is set by Huw for a capella choir and tenor solo. 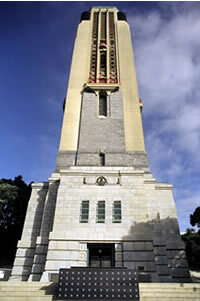 The ninety minute ceremony at the War Memorial will be attended by the New Zealand Prime Minister, the Hon. John Key and other dignitaries and will be broadcast live on New Zealand television station TVNZ.